While the LS-218 electric motorcycle from Lighting Motorcycles is a high-dollar item designed for high-speed racing, the company’s second bike should be more pedestrian. The company just released a teaser for its new motorcycle called the Lighting Strike. 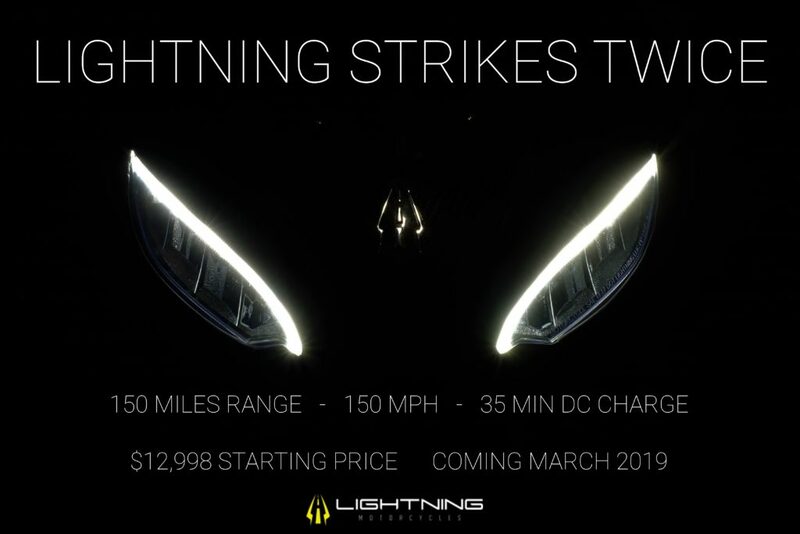 Lightning Motorcycles claims its new bike will “shock the industry in every dimension.” It shared only a few stats for the motorcycle and didn’t give us a full look just a couple of headlights. According to the company’s teaser, the new bike can reach 150 mph. It also has a range of 150 miles. Most importantly, you can recharge the battery in 35 minutes thanks to DC fast charging. The best part of Lightning Motorcycle’s new bike? The price. The company says its new model will cost $12,998. With a starting price that low, Harley-Davidson must feel pretty silly. Harley wants to shill out the LiveWire for $30k and it only achieves about 100 miles per charge. The Strike, as Lightning Motorcycles calls it, will launch in March of 2019. At that time, the company will have an official reveal. When that happens Lightning will show us all the little details that are omitted currently. By the look of the teaser image, the bike will be a sportbike. The headlights give it away. Also, the company has experience with sportbikes. The LS-218 is a superbike that’s set land-speed records. It is, by all accounts, a crazy, electric machine. Hopefully, the new Strike motorcycle will be almost as impressive if not as impressive as the LS-218 Superbike. 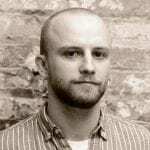 This could be revolutionary, vaporware, or exaggerated advertising. I hope it turns out to be what they claim. I personally would have preferred an upright riding position, but I like everything else I’m hearing about it, and it might be enough to tempt me into getting a sportbike.